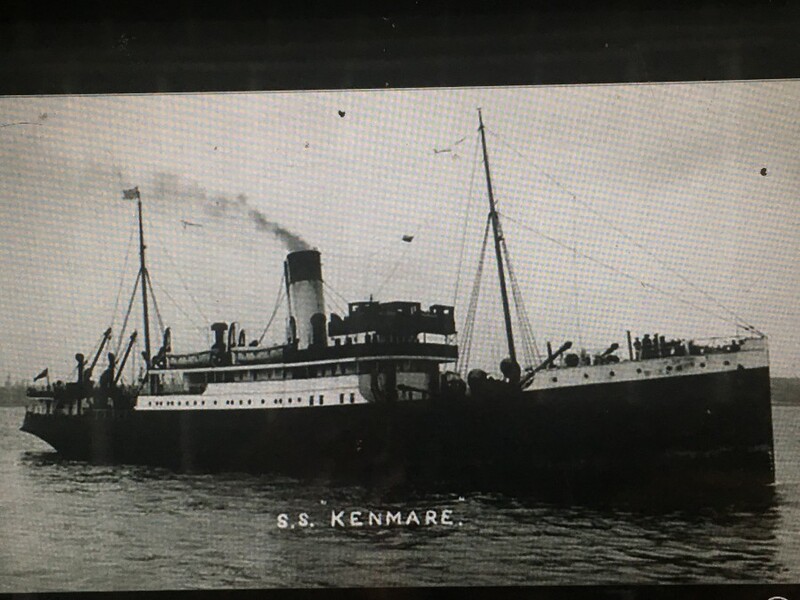 The SS Kenmare, one of the fleet of the Cork Steam Packet Company, was torpedoed in the in the Irish Channel on Saturday, 2 March 1918, between Holyhead and Rockabill Light, on a voyage to Cork, under the command of Captain Peter Blacklock. Of the crew of 35 there were only six survivors. Amongst the 29 lives lost was Captain Blacklock, a native of Liverpool but who has resided for some years in Cork. The Dublin correspondent of the Central News, in a graphic account of the sinking of the Kenmare, noted that the sinking occurred at seven o’clock on Saturday evening, and was without warning. Many of the men were in their bunks at the time, and were awakened by a loud explosion, which almost shattered the vessel. Rushing quickly on deck, they found the vessel awash. Only one small lifeboat, which was not lashed got clear. Its three occupants succeeded in rescuing some men from the water. Owing to the wreckage, they were unable to get to everyone, who were shouting for help. After ten minutes the distressing cries died away, and the survivors in the small boat drifted for twelve hours before being picked up. They were scantily clad and suffered terribly from the cold. Though all the survivors believed the sinking was caused by a submarine, none of them saw an enemy craft or the wake of a torpedo. The vessel appeared to have been struck amidships and sank in about a minute after the explosion. In a media interview, crewman Tim O’Brien, of Cork, believed the ship was torpedoed. He was in his bunk at the time, in the steerage over the propeller, and was thrown by the force of the explosion some yards. The lights went out immediately. Four other firemen were sleeping in the room. There was some confusion in the darkness but he succeeded in a getting a flash lamp and his lifebelt and made for the deck followed by James Barry. When Tim got on the deck the ship was sinking fast. As with Mr Evans he got into one of the lifeboats and floated off the ship. As they were leaving the ship they grabbed another crewman and pulled him into the boat. At this time the captain was on the deck shouting instructions as to the lowering of the boats. After leaving the sinking ship they rescued the carpenter and a gunner from the water. Meanwhile 25 of the crew had put off in a boat, which became upturned and from which only one man, James Wright was rescued. He was found with his head through the bottom of the boat, and rescued him with great difficulty, he being powerless to assist, as one of his arms was broken. They remained in the vicinity for a quarter of an hour in the hope of picking up other men. At about seven o’clock in the morning the survivors were picked up by a small coaster. They were then nearly dead with the cold, the majority being only half-clad. Tim O’Brien was in his shirt and trousers. The night was very cold, and a heavy sea was running. James Wright, Chief Steward, who had sustained a fractured arm and was badly bruised about the left eye, told how he was talking to Captain Blackpool in the latter’s cabin just before the vessel was struck. It was just twilight, and nobody saw the submarine. A terrific explosion was the first he knew of anything happening. The SS Kenmare immediately took a big list and commenced to go down by the stern. In a minute and a half or two minutes at the most the ship had disappeared, and he was struggling in the water. When he and the captain realised what had happened they both rushed out on this deck and lowered one of the boats. This was upturned by the suction of the sinking vessel, and they were all thrown into the sea. Heart-rending scenes were witnessed at the offices of the Steampacket Company on Penrose Quay, when relatives of members of the crew formed a constant stream of callers to ascertain if any news was to hand. Among the earlier visitors was the daughter of Captain Blacklock who was not among the survivors. Relatives of nearly all the members of the crew visited the offices, and when it was revealed that only six out of thirty-five were saved there was much shock and devastation. 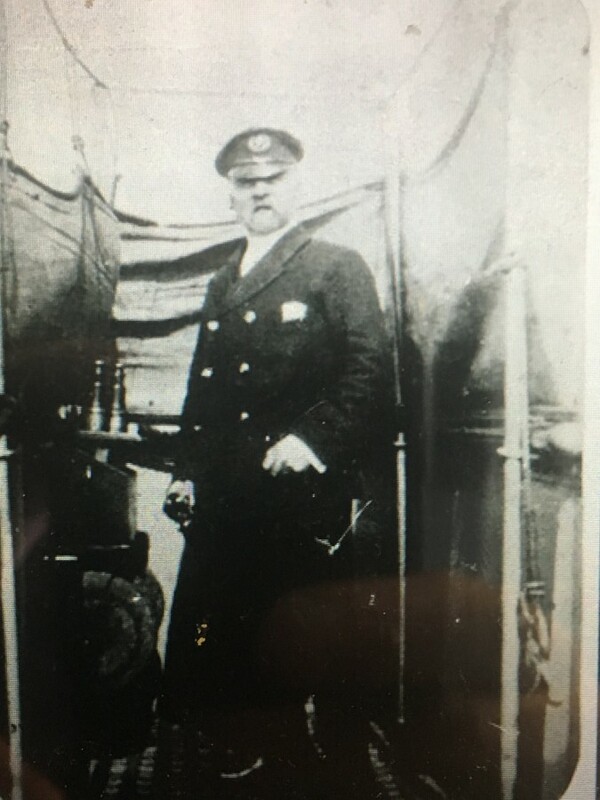 Amongst those saved was Mr Barry – the oldest person aboard, and possibly the oldest man sailing in the company’s service. Amongst those missing was the Chief Engineer, Mr Thomas Murphy, the son of Mr Murphy, Woodland View. Strangely enough when in a different service Thomas’s ship was torpedoed, and though that vessel carried a very large crew they were nearly all saved. He had been sailing in the SS Kenmare for some little time back relieving a Mr O’Sullivan, Knockrea Terrace Blackrock Road. The Quartermaster, Geoffrey Grant who resided at Hibernian Buildings, who with his nephew, Mr Moore were also amongst the missing. Mr Grant was the father of five children, and four years earlier he had buried his wife.